UGA VI has passed away. Prayers go out to the Seiler family. "UGA V's Watchagot Loran" was mascot since 1999. Condolences from a die hard Vols fan!! 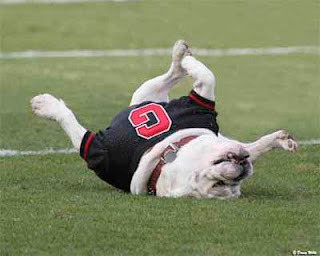 UGA will always be one of the Best, if not the best College mascot. I know it is a sad time for Georgia to lose it beloved mascot, as we have felt your pain with our Bluetick Hound!!! I am looking forward to the introduction of UGA VII!! Maybe he can take a bite out of a Gator for all of us!! !